We are extremely excited to be producing the world premiere of Miss N Me by two-time Governor General winner Catherine Banks in May! We have assembled an amazing team and have some surprises in store, including the creation of a new rap to promote the show with JUST TV! It’s a tricky business getting a new play up on stage, not to mention one that features mermaids and clowns. So You Think You Can Act is just days away and will go a long way to support this important new production. Our fabulous design team of Brenda McLean (set/costumes), Dean Cowieson (lighting) and James Jansen (sound) will be working magic to bring Catherine’s imaginative world to life, but on stage our stellar cast will have their work cut out for them. We are so happy to have Melanie Whyte taking on the lead as Dawna who sets out on a road trip through her own psyche. Guiding her along the way are a host of characters played by Colin Connor and Alissa Watson. Audiences might remember this duo as they played opposite one another in our world premiere of Harold and Vivian at FemFest 2013, not to mention their acclaimed run at the Winnipeg Fringe in the Anger in Ernest and Ernestine. 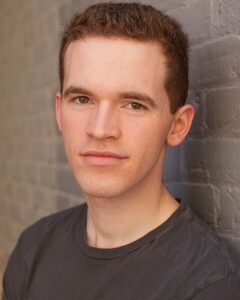 Finally, rounding out the cast, will be Kevin Gabel as Dawna’s son Justin. Come on out to So You Think You Can Act to support us as we support local artists, the development of new plays and powerful theatre! And tickets are now available for Miss N Me on-line. 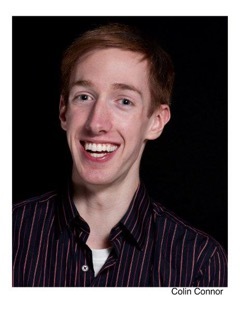 Colin D. Connor is a graduate of the University of Winnipeg’s Performing Arts Honours program. Since graduating in 2011, Colin has been working with Associazione Culturale Linguistica Educational (A.C.L.E.) in Italy performing in educational theatre and facilitating English language workshops. When not in Italy, Colin has performed in Fringe Festivals in Winnipeg and Edmonton as well as FemFest with Sarasvàti Productions. Colin has had the pleasure to perform in such shows as Commedia! (2010), The Fisherman and His Soul (2011), The Anger in Ernest and Ernestine (2012: 5 Stars CBC/ Free Press, Outstanding Comedy/ Outstanding Date Show: CBC), Harold and Vivian Entertain Guests (2013), and Whitechapel Redemption (2015). Colin was the shadow puppet designer in The Fisherman and His Soul and Whitechapel Redemption. Colin is thrilled once again to be working with Sarasvàti Productions. In his spare time Colin enjoys collecting Bowties and Tiki Mugs and playing Scopa with his beloved Colombina. Kevin is a graduate of the University of Winnipeg Honours acting program, having performed there in such plays as The Possibilities, Sainte-Carmen of the Main, and The Dumb Waiter. Other credits include Proud (TPM), Fallen Angels (Tara Players), Lion in the Streets (Black Hole Theatre), and Eden (Sarasvàti). Last year he wrote and starred in Undress Me, which was nominated for the Harry Rintoul Award for playwriting. He will next appear in Jackie Torrens’ Georama at the Toronto, Winnipeg, and Edmonton Fringe Festivals. Kevin has written and directed several short films (including the recent Seven Drinks), and acted in such film projects as Passionflower. Alissa is ecstatic to be back on stage with Sarasvàti after last appearing in Harold and Vivian Entertain Guests. 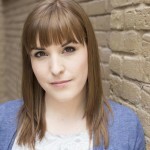 Alissa has studied theatre at Brandon University, the Guildhall School of Music & Drama in England and is an alumna of PTE’s Professional Training Ensemble. This summer, she will return to Manitoulin Island to “clown around” with John Turner of Mump and Smoot. Alissa is also a founding member of the Bouffon ensemble, The Talentless Lumps. Other credits include: Whitechapel Redemption (Theatre Incarnate), Small Things, Magical Mystery Munsch (Prairie Theatre Exchange), Harvey (Manitoba Theatre Centre), and Night Light (Manitoba Theatre for Young People). Melanie is pleased to perform again with Sarasvàti Productions, having portrayed Lorraine in The Impromptu of Outremont for Tremblayfest way back in 2005. She has relished the opportunity to explore the realities of women’s lives in other roles too: as the sister of Alfie Byrne in A Man of No Importance (Dry Cold), Mme. Ranevskaya in The Cherry Orchard (Theatre By the River for Chekovfest), Mrs. Brill in Mary Poppins (Rainbow Stage), Esme in Till it Hurts (PTE) and Margaret in The Light in the Piazza (Dry Cold). 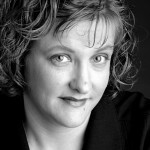 Melanie further lives out her creative passions as a singing teacher and coach here in Winnipeg.